My Creative Time: Creative Time for Me Friday Tip of the Day! HELLO!!! Fellow crafters and lovers of all things Creative Time for me!! Debbie with Bugjuiced here with another Guest post and Tip of the day! WOW does the months go by fast! 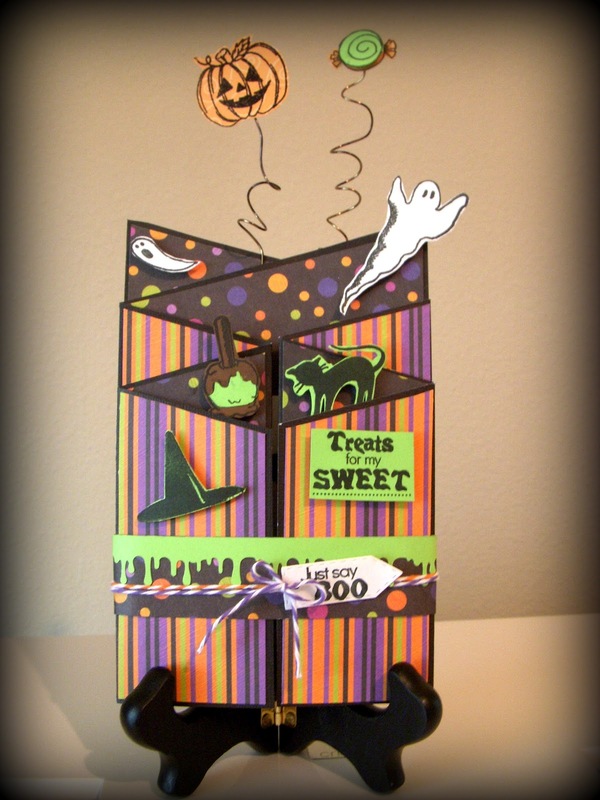 I found this card in the Cardmaker Magazine and knew I had to make it. Boy was it ALOT of work. You have to hand cut alot of the coordinating pieces as the sizes is not listed. Here is a drawing of the piece you need to cut twice and where to score it. then you of course take one piece and flip it and overlap on the larger end. I know all you crafters can figure it out by looking at the card. The other little pieces you just cut by figuring them out!! ha ha I would give you the measurements but there are not the normal size and I am not good at all the little marks on a ruler cause ya know I am too busy studying to be a photographer ha ha! I used two different pieces of paper from the same paper stack so i knew it would look good together. If you are using black paper (like I did...learning the hard way) that is textured on one side and not the other pay attention to cut the pieces above to have texture on the same side! 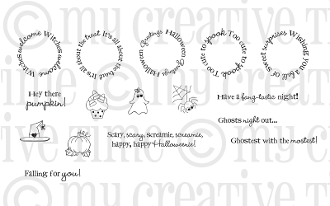 I got the "All around Halloween" set and the new one (WHOOO do I love it) "Treats for My Sweets"
I tried to use only them on most of the images and hand cut them out (Now I am not the best at this) then I just really wanted to add this squiggly wire and put a couple of the images on it too! I have to say I really loved the way it turned out. I LOVE scrapping halloween...its my fav! Its the one day of the year I could actually put the worst (ok my favorite) worn, paint spotched and ripped clothing on, my hair can be a mess and I can be dressed as an old hag housewife!! Actually I did go as that one year with toe socks and slippers, pj's and rollers in my hair. I penciled dark circles around my eyes and a mole! I even took a cigarette and hung it out of my mouth. I would share it but its really bad and I wouldn't want you all to think how ugly and fat is she (cause I know that its not far from the truth...tear streaming down my face!) THIS Girl can't seem to back away from cake, candy or a plate of dumplins! Man the older I get the more I LOVE to eat! So anywhoooo This is my card!! I used good old Martha Stewarts drippy goo punch. Martha would be proud. I also used the Teeny Tiny tag set...LOVE THIS SET...seem to use it always! I have gotten better) struggled with my photos. So my tip is to buy a photo tent and lights. My scrap room doesn't have the best lighting and I work during the day so I craft at night and so then taking photos happens during the evening. I purchased this photo tent on ebay for $11 and then I ordered these lights on ebay for $18. WOW how cheap is that right! It seems to make a difference when I am taking photos late!! The photos above I didn't use it on. They came out ok without it cause I actually made them during the daylight but wanted to spook them up with the dark border anyhow. Also another tip is since Picnik closed I have found another site called pic monkey (who comes up with these names?) to use to edit quickly, add borders and cool effects and they even have some cute little graphics you can add to your pictures. #2- Vintage it up is what I am calling this tip. I like to use twine on alot of my projects and sometimes I want something that looks just a bit old. I just pour some tea in a little bowl and then throw some twine in the bowl and let it sit. Then when it really looks the shade you want take it out and let it dry. Emma did the same thing with ribbon once. You can do it with anything like crochet embellies etc. You could even do it with paper if you wanted to wrinkle up some paper and give it a vintage look soak a piece in some tea. Then while its wet you can crinkle it up a bit and let it dry. Adds alot of dimension and texture to a project. your desk! Pull it out since its on wheels when you are ready to use it!! GENIUS!!! I need one! Thanks for visiting and hope you enjoyed my post! 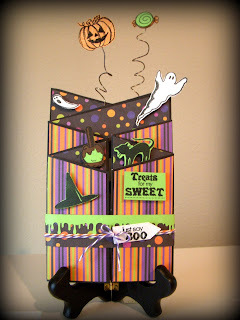 great tips--love the card---love how you cut out all the images! Wow what a awesome card. You really shared alot of helpful info. I will have to look for that tent my pictures are not that great. I can use that tip for sure. Greaat tips and awesome projects. I am working hard on improving my photos but using an iPhone and a white poster board is not getting good results. I am going to check out the photo tent and the lights. WOW - love this card! Amazing-ness!! So cute. I saw it in the magazine, too. Great job. 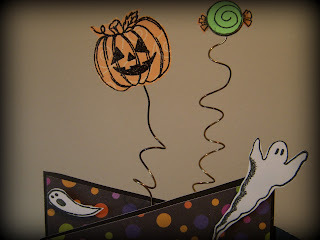 That card is absolutely FABULOUS and so stinkin' CUTE!! Love, love, LOVE it!! That photo set up looks really neat. I also craft at night so my photos don't always turn out the greatest due to lack of lighting. Ikea is definitely addicting -- I seem to never get out of there cheaply. Lol. Your card is amazing, I love all the detail you put into it:) Thanks for sharing your lighting tip, and your new find at Ikea. Its such a great table, wish I had room for it:)lol. 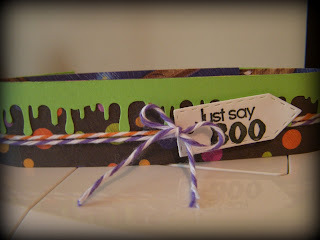 Wow..you're right..crazy long post..but your card is super creative and so cute!! The table is a great idea...we have a newish IKEA about an hour from me...hear raves about it but haven't stepped foot in it yet...afraid I'll want one of everything in it!!! Yessss! Thanks for the chaance @ these adorable charms. I love using charms. Love your card!! I've been seeing these kinds of cards done and thought they are so cool. Thanks for the directions. 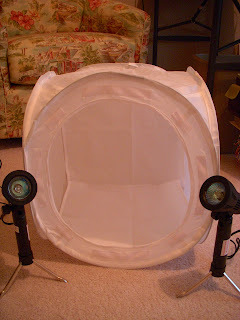 I also love the photo tent and need one myself. I never seem to get a good pic of my projects and really struggle with it. Love the charms, love fall/Halloween/Thanksgiving time of the year. Thanks for a chance at winning some! Love rhe card. I see a trip to ikea in the future. Thanks for sharing. Great job on your card...I have not seen one like this before. I like the wires sticking up and of course drippy goo! We all need to be reminded of great ideas like tea dyes. Good luck with the photo booth! Great job and tips too. Wow, that was a lot of work but what a beautiful card. Thanks so much for sharing. I've been wanting to try that card but need wait for a day where my patience is up. Thanks for the chance. FAB card Deb!! 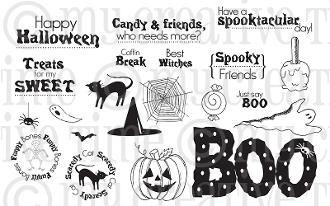 the shape and all those MCT stamps are awesome!!! Thanks for sharing your photo tip! I have the worst time taking pictures...will have to invest in one of these photo booths! What a cute card. I just love all your work and all that you take the time to share. 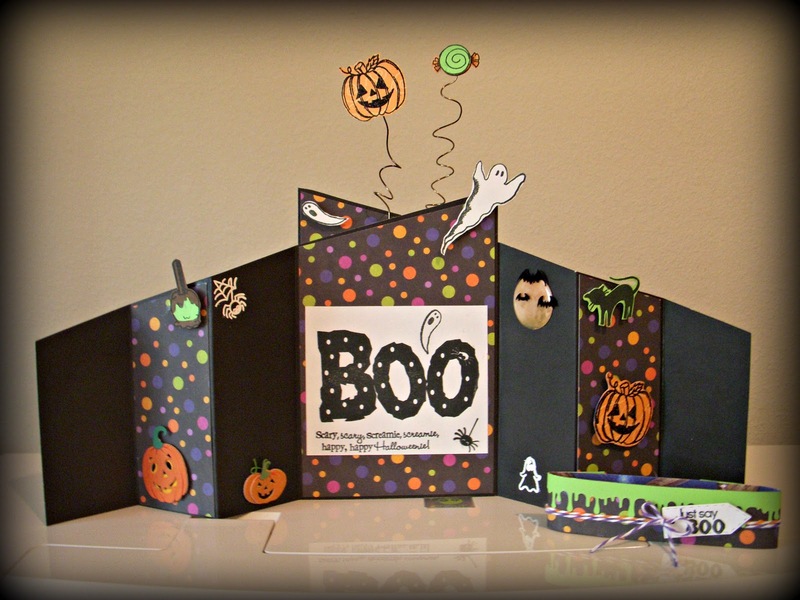 Debbie ~ OMG your card and its shape is beyond COOL! I have to give this a try! Thanks for the tut! The lighting this is WONDERFUL! I struggle with taking pictures is general but my inside pics are HORRIBLE! With winter approaching I have to get this! LOVE that cart! Fun color and totally can use that for so many things too! I always enjoy your Guest spot ideas you never just have 1 and they are always so helpful and informative! TU!!!! Emma ~ my goodness how scary for you and your family! Thank God it wasn't anything worse! DON'T worry about the orders! You ALWAYS say family comes first! Tell Momma Emma I am sending her a HUGE HUG!!!!! OMG your card is adorable. I bet it was a long long process but my this card was worth all the time and cutting. Awesome card!